EARTH WAR! 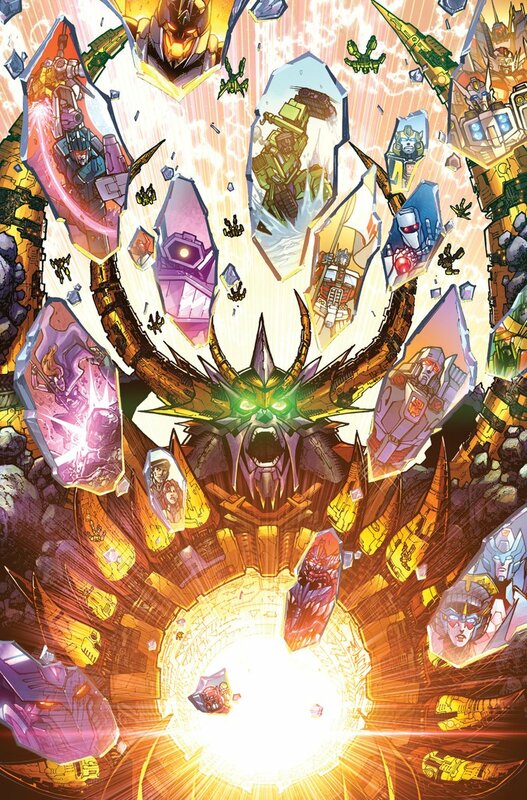 With Unicron’s ultimate goal revealed, the shaky alliance of Autobots and Decepticons is all that stands between Earth and the planet-eater. Heroes will rise-and fall-as Optimus Prime journeys into the dark heart of Unicron for the final confrontation with evil. At stake: the soul of a universe. This is it! The end of an era! Finishing off 13 years’ worth of continuity with a bang! A double-sized story for the ages!